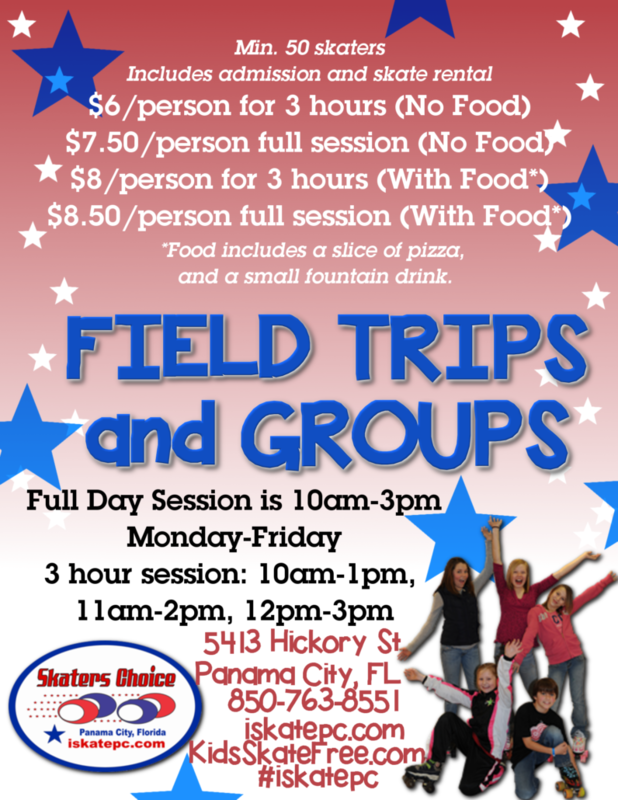 Let Skaters Choice book your school field trip with us. 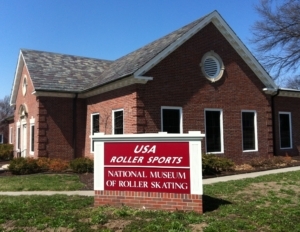 Skaters Choice offers a fun field day of skating and entertainment. Bookings are a minimum 50 kids. 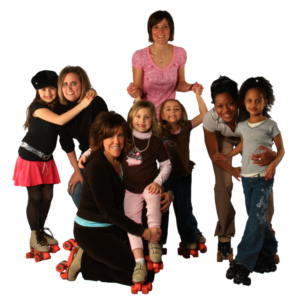 Skaters Choice offers flexible hours and rates. 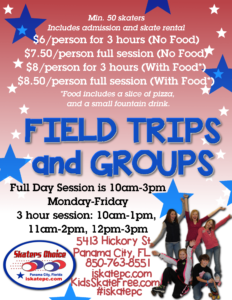 Book here or contact our office for times and schedule.